Happy Saturday! Hope its been a great day so far for some of you and the start of one for the rest of us barely starting our day. I’ve been up a while, yet mine has been relatively slow going. I’ve got stuff to do throughout the day so it won’t be a boring one, maybe a tiring one by the end of the night. 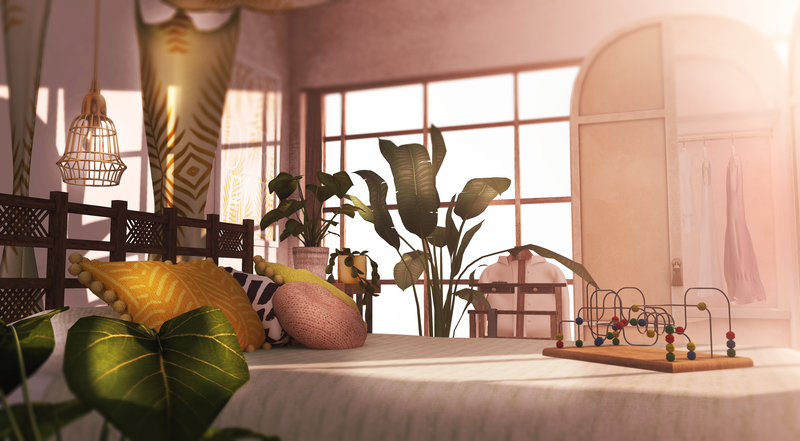 Today, I bring you a bedroom scene and I have several more coming in the next days. Evening! I had no idea where I was going when I looked at what to blog next. Though I am pretty happy how this came out and hope you do too. 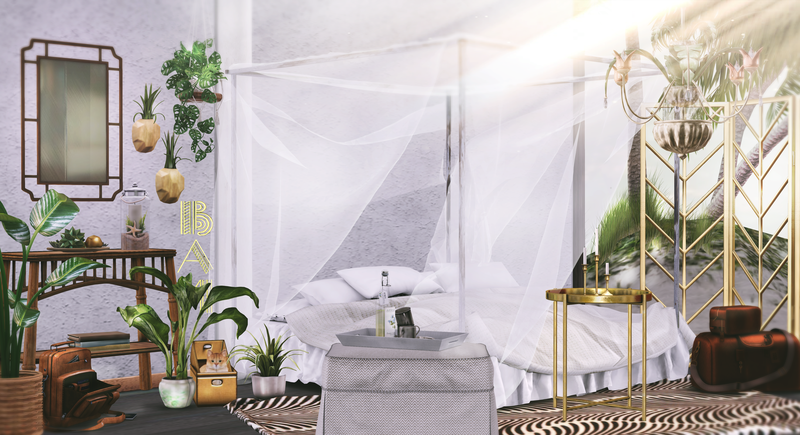 Featuring items from sponsors and events FaMESHed and Blueprint. Don’t forget you get entered into the mega-prize drawing at Blueprint just by visiting the event the first week, so make sure you go check out the amazing creations. Hello everyone! Indulge me as I do some serious catching up from now to months end. This post is showcasing some of the amazing stuff at the Arcade, so take a peek below for everything. Morning! I’m running late this morning so no tea for me. Not that I drink anything, not even coffee. I never really used to eat breakfast either until recent that I’ve gotten into the habit of stopping and grabbing a morning croissant with egg and sausage from this little donuts shop that I pass on the way to work. Probably not today as I’m already running behind schedule. This morning I leave you with this fabulous set called Thalassa by The Loft & Aria that is currently at Uber. The daybed, desk, lamp, sconces, vase and notebook with tea cup and plant. See below for all credits and have a wonderful Monday! Summer Memories – Curtain – Pink by .peaches. I know my title makes no sense, but does everything have to? I’ve got 10 minutes left before I have to go so it’s a quick one. Enjoy your Wednesday and make sure to take a look below for everything shown.